General Motors had been banking largely on the Sail twins when they were launched in 2012. However, sales for the Sails (Ha, we couldn't help ourselves) didn't really take off as expected - this was largely attributed to its bland looks and the fact that the cars missed out on a great many features. And then, the production of the diesel Sail twins was ceased briefly due to certain issues. 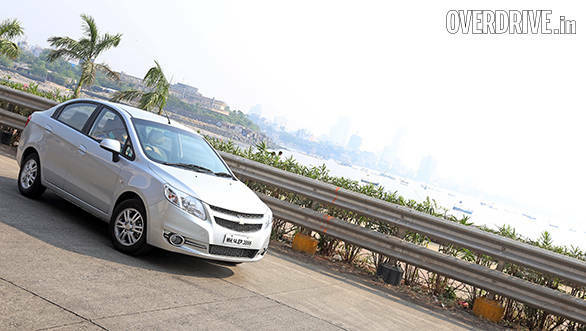 So now having resolved said issues, GM has introduces facelifted versions of the Sail hatchback and sedan. While the old Sail appeared bland without offending sensibilities, the addition of chrome at the right places in the facelift makes it a tad more attractive. The headlamps have been modified slightly and there is a chrome outline on the grille, air dams as well as fog lamps. There are no changes to the side profile save for the trendy new alloy wheel design. There are no turn indicators on the ORVMs. The chrome appliqué on the boot lip distinguishes it from the outgoing model, though not in a significant way. And that pretty much sums up the exterior of the facelifted Sail. The same chrome treatment continues inside the cabin. There are chrome rings around the AC vents and inside door handles. GM has also updated the audio system and it is now aux and USB compatible. In the top end variant that we have here, there is also leatherette upholstery and dual tone plastics. 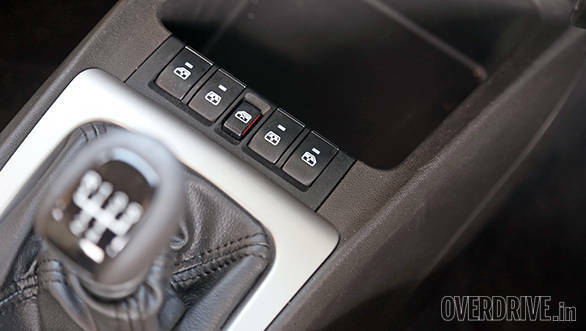 GM still continues with the odd placement for the front and rear power windows, right next to the shiny gear lever. The outside mirrors can be adjusted electrically, however the placement of the knob is again a bit awkward, right where the headlamp beam adjuster is located. The meters have a cool looking blue background to them while the rev counter, like the Beat's, is digital which makes reading it on the go a tad confusing. Speed sensing door locks, however are a good addition. 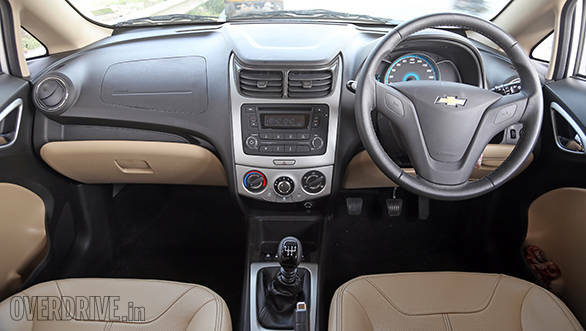 GM have skimped on many small yet useful features like two tripmeters and a monochromatic inner rearview mirror. Apart from this, the Sail twins have appreciable leg, knee and head room both at the front and rear. Even the boot space (370 litres for the sedan and 248 litres for the hatchback), is at par with competition. 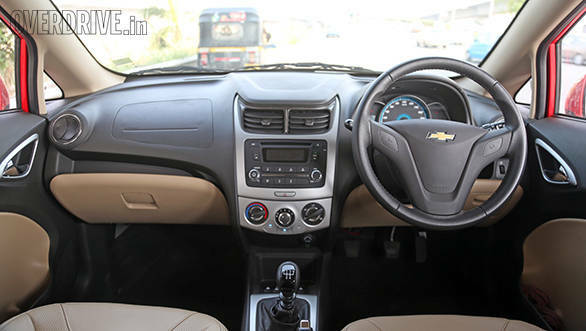 The new Chevrolet Sail's mechanicals haven't been changed which means the sedan and hatchback handle in a neutral fashion. The steering is light and makes driving the cars in the city a breeze. However, out on the highway, the steering fails to weigh up. While the pre-update Sail's NVH levels were on the higher side inside the cabin, the new one has this aspect sorted out to a great extent. The ride quality is better than some of its sub-4 metre rivals. I preferred the Sail hatchback over the sedan for its nimble handling in town. The Sail continues to be available with a 75PS diesel and an 86PS petrol engine. Both the engines are mated to a slick shifting five-speed manual gearbox. 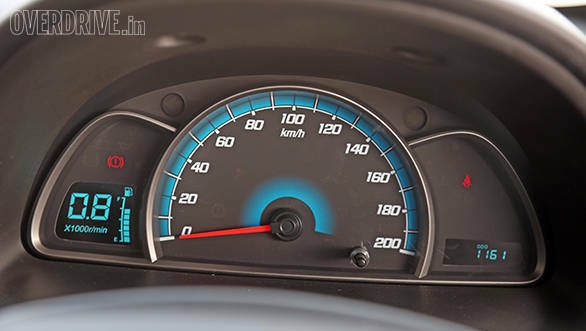 The clutch for the diesel units was similar to the petrol one - light. 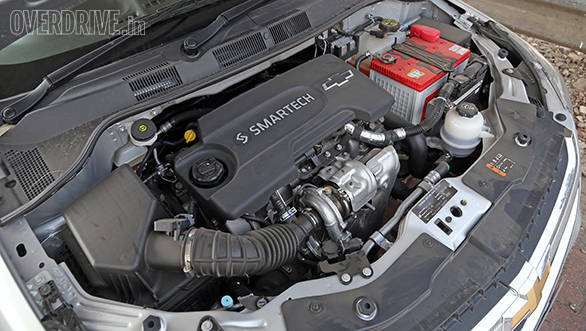 GM claims a fuel efficiency of 18.2kmpl from the 1.2l petrol motor and 22.1kmpl from the diesel. This mild update is just what the doctor ordered for the Sail. But while the advertisement on telly will want you to believe that it's "all-new", it isn't. Some chrome here and there, plus a couple of more features are what the update brings into the package. 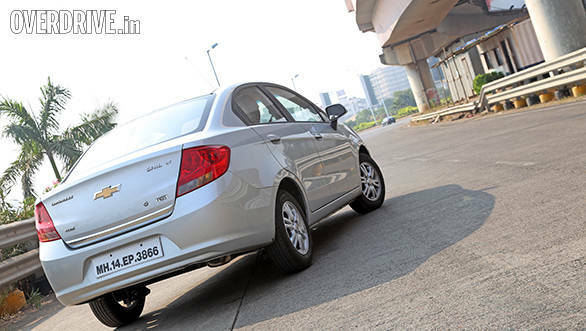 Pricing for the new Sail also has been revised which brings it back in the middle of the sub-4m sedans and others in its class like the Etios and Verito. 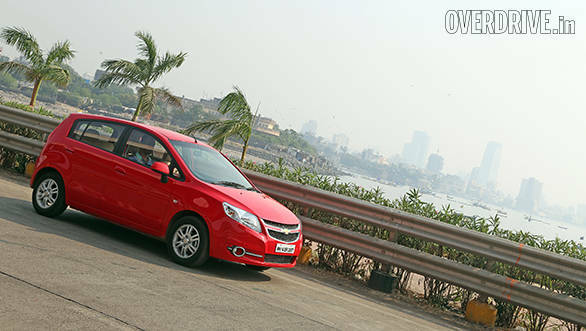 GM has priced the new Sail hatchback at Rs 4.63 lakh for the base variant, going up to Rs 6.81 lakh for higher trims. 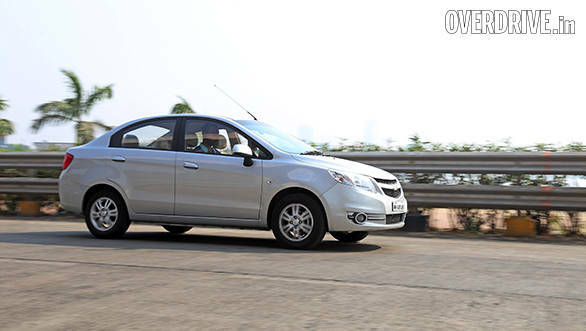 The top two variants in petrol and diesel get ABS and airbags. As far as the sedan is concerned, prices start from Rs 5.99 lakh and go all the way to Rs 8.02 lakh for the variant we tested here.